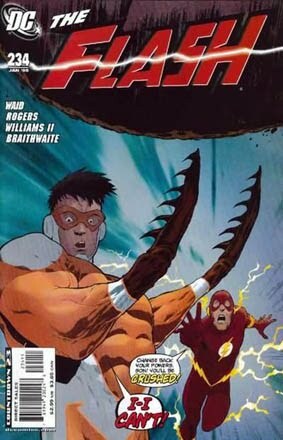 SINGAPORE COMICS & COLLECTIBLES: THE FLASH VOL. 2 #234 (2008) "The Wild Wests Pt. 4"
THE FLASH VOL. 2 #234 (2008) "The Wild Wests Pt. 4"
• THE FLASH #234 "Tethered"
• PLOT SUMMARY: The unstable powers of Wally West's growing children reach a terrifying new level!